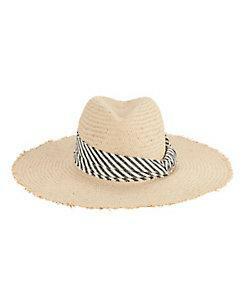 Beach-ready straw hat offers interchangeable trims with one in a light denim blue and the other in a faded black and white striped design. Pinched top. Frayed wide brim.